For some years wind turbines were presented to the public as renewable energy producers that would reduce the CO2 emissions from fossil plants, because less fossil fuels would be burnt, which would make the US less dependent on energy imports from unstable regions, even though about 1% of US electric energy is from oil, even less from imported oil. Wind turbine vendors, project developers, financiers managing tax shelters, trade organizations, etc., popularized wind energy as saving the planet from global warming with PR campaigns that claimed there would be significant CO2 reductions/kWh, that capital costs/MW would decrease, and that wind energy costs/kWh would be at grid parity in the near future. Apparently many people, including many legislators and the US president, believed it all, because a fear-driven, ill-advised, heavily-subsidized, multibillion dollar build-out of wind turbine facilities occurred. This article summarizes two studies using measured, real-time grid operations data; the first one is of the Colorado and Texas grids and the second one is of the Irish grid, all with significant wind energy percent. The studies show adding wind energy to these grids does little to reduce CO2 emissions. Installed Capacity, Capital Cost, Production: End December 2010 installed US wind turbine capacity: 41,400 MW. The top 5 states: Texas 10,085 MW; Iowa 3,675 MW; California 3,177 MW; Minnesota 2,192 MW; Washington 2,104 MW. End December 2010 estimated direct capital cost: about $70 billion for erecting the wind turbines, plus the direct capital cost of grid modifications, plus the cost of accommodating wind energy to the grid, plus the cost to the government of capital grants and various subsidies, including the taxes not collected due to various write-offs from taxable incomes (tax sheltering), plus the cost of above-market feed in tariffs and/or production tax credits. The net result of the wind turbine buildout during the past 10 years is a 2010 wind energy production of 94,650 GWh, or about 2.3% of total US production, and higher electric rates for consumers. It may take another 10 years to install the next 40,000 MW of wind turbines and have 4.6% wind energy. However, there may not be sufficient capital due to the likely shrinking of future subsidies, because the US economic, fiscal and monetary conditions will be dismal for years to come. Skepticism About CO2 Reductions: After skepticism was expressed by power systems analysts in the US, Canada, the UK, Denmark, the Netherlands, Australia, etc., about claims regarding CO2 reductions/kWh due to wind energy for at least the past 10 years, several studies have quantified the CO2 reductions/kWh, based on operations data of the grids of Colorado, Texas and Ireland, all with significant wind energy wind energy percent. ERCOT of Texas, Public Service of Colorado, and EirGrid of Ireland are three grid operators that publish 1/4-hour or 1-hour operations data of relevant parameters that can be used to analyze the effects of wind energy on the operations of the other plants (coal, nuclear, hydro, gas) on their grids. For many years, numerous studies, mostly performed by promoters of wind energy, such as the one below, used simulations, modeling, algarithms, statistical methods and assumptions regarding grid operations, dispatch of generators, wind energy and weather forecasting, etc., instead of using real-time, 1/4-hour operations data sets. These studies reached incorrect conclusions, because of the assumptions made and methodologies used. They should have been based on real-time, 1/4-hour operations data sets, but they were unavailable at that time. It is unfortunate those studies were used to justify worldwide investments in wind turbines totaling several hundred billion dollars during the past 15 years. There may be a deliberate withholding of 1/4-hour data sets by utilities and wind turbine owners to make it difficult for energy system analysts to accurately determine the wind energy impacts on the grid, CO2 emissions/kWh and fuel consumption/kWh. That sort of fine-grained data is essential to perform accurate analyses of wind energy impacts. Example: Public Service of Colorado records 1/4-hour wind energy production but refuses to release the data; it is citing “trade secrets”. These wind turbine facilities were built with significant public subsidies; should not the public know whether or not its money is invested in the most effective manner to reduce CO2? The $500 million Solyndra fiasco comes to mind. Balancing Wind Energy: Wind energy balancing plants, usually consisting of quick-ramping gas turbines or hydro plants, are required to ramp down when wind energy surges and ramp up when wind energy ebbs at least 100 times per day to ensure a near-perfect balance of supply and demand is maintained on the grid. The balance needs to be maintained to minimize excessive frequency and voltage deviations from target values to avoid brownouts, blackouts and overloads. The balancing plants are required to operate at a percent of rated output to be able to ramp up and down. Part-load operation is very inefficient for gas turbines and ramping up and down at part load is even less efficient. This results in significantly increased Btus/kWh and increased CO2 and NOx emissions/kWh and SOx emissions/kWh by coal plants. When coal plants are used as wind energy balancing plants, as is the case with Colorado and Texas, the rapid up and down ramping at part-load causes their combustion systems (designed for optimum, steady operation near rated output) to become unstable, and because the up and down ramping causes the chemical composition and quantity of the flue gas to vary, the scrubber-based air pollution control systems (designed for optimum, steady operation near rated output) also become unstable as the required stoichiometric chemical ratios cannot be maintained in a timely manner. Gas turbine Heat Rates: The gas turbines of the balancing facility, most efficient near rated output, would have to operate at reduced outputs to be able to immediately vary their outputs to accommodate all variations of wind energy, including unpredictable, sudden, large variations of wind energy. Gas turbine heat rates, Btu/kWh, and CO2 emissions, lb of CO2/kWh, increase because of increased operation below rated output. Gas turbines are rarely operated below 40% of rated output, because of much degraded heat rates. Example: at 80, 50 and 20 percent of rated output, the heat rates are equal to the rated heat rate divided by 0.95, 0.85 and 0.55, respectively, or a heat rate degradation of (1/0.95 – 1) x 100 = 5.3%, 17.6%, and 81.8% respectively. This is for steady operation at a percentage of rated output. If the balancing facility is operating at a percentage of rated output AND irregularly and rapidly ramping up and down, the heat rate degradation increases further. Example: If a gas turbine rapidly cycles from 60% down to 40% and back up to 60%, 5 minutes down at 15 MW/min, 5 minutes up at 15 MW/min, its roundtrip fuel consumption and CO2 emissions are about 20% greater than if it had operated at 100% for the same 10 minutes. The average output was 50% which would have a steady heat rate degradation of about 17.6%, plus a rapid-ramping degradation of, say 2 – 3%, for a total of about 19.6 – 20.6 percent. Existing gas turbines are designed to perform a few cycles per day. Cycling at least a hundred times per day to balance wind energy will significantly increase wear and tear, i.e., increase (owning + O&M) costs. Who should pay these additional costs? Rate payers or wind turbine owners? Example: a car driven on a level road at a steady speed of 40 mph has a mileage of, say 26 mpg. The same car driven on a level road at irregular and rapidly changing speeds that average 40 mph has a mileage of, say 22 mpg. The mileage degradation due to the speed changes would be (26-22)/26 x 100% = 15%. A car’s best mileage usually is at 55 mph, at a steady speed, on a smooth and level road; it is the oft-quoted EPA highway mileage. – that this balancing produces more CO2/kWh, more NOx/kWh, and more SOx/kWh (from coal plants on the grid), and uses more fuel/kWh with wind energy on the grid than without. Public Service of Colorado, PSCO, owns insufficient gas-fired CCGT capacity for balancing wind energy on its grid. As a result PSCO is attempting to use its own coal plants for balancing for which they were not designed and for which they are highly unsuitable. The results have been significantly increased pollution and CO2, NOx and SOx emissions/kWh. The heat rate of a coal plant operated near rated output it is about 10,500 Btu/kWh for power delivered to the grid. It is lowest near rated output and highest at very low outputs. If a plant is rapidly ramped up and down in part-load-ramping mode, its heat rate rises. See Pages 26, 28, 35, 41 of the Bentek study. On Page 28, the top graph covering all PSCO coal plants shows small heat rate changes with wind power outputs during 2006. The bottom graph shows greater heat rate changes with wind power outputs during 2008, because during the 2006-2008 period 775 MW of wind facilities was added. For the individual PSCO plants doing most of the balancing, the heat rate changes are much higher. On Page 26, during a coal plant ramp down of 30% from a steady operating state to comply with the state must-take mandate, the heat rate rose at much as 38%. On Page 35, during coal and gas plant ramp downs, the Area Control Error, ACE, shows significant instability when wind power output increased from 200 to 800 MW in 3.5 hours and decreased from 800 MW to 200 MW during the next 1.5 hours. The design ramp rates, MW per minute, of some plants were exceeded. On Page 41, during coal plant balancing across the PSCO system due to a wind event, emissions, reported to the EPA for every hour, showed increased emissions of 70,141 pounds of SOx (23% of total PSCO coal emissions); 72,658 pounds of NOx (27%) and 1,297 tons of CO2 (2%) than if the wind event had been absent. Those increases of CO, CO2, NOx, SOx and particulate per kWh are due to instabilities of the combustion process during balancing; the combustion process can ramp up and down, but slowly. As the varying concentration of the constituents in the flue gases enter the air quality control system, it cannot vary its chemical stoichiometric ratios quickly enough to remove the SOx below EPA-required values. These instabilities persist well beyond each significant wind event. PSCO refuses to release 1/4-hourly wind energy data of privately-owned wind turbine facilities, because it is a “proprietary trade secret”. Such information is critical for any accurate analysis and comparison of alternatives to reduce such CO2 emissions. PSCO deliberately withholding such information is inexcusable and harms progress regarding global warming. Any renewables subsidized with public funds should be subject to full disclosure to make sure public funds are not misused for projects with poor economics and poor CO2 reduction. The Texas grid in mostly independent from the rest of the US grids; the grid is operated by ERCOT. The grid has the following capacity mix: Gas 44,368 MW (58%), Coal 17,530 MW (23%), Wind 9,410 MW (12% – end 2009), Nuclear 5,091 MW (7%). Generation in 2009 was about 300 TWh. By fuel type: Coal 111.4 TWh, Gas CCGT 98.9 TWh, Gas OCGT 29.4 TWh, Nuclear 41.3 TWh, Wind 18.7 TWh. Summer peak of 63,400 MW is high due to air conditioning demand. – grid operator ERCOT requires significant curtailment of wind energy to stabilize the grid. – wind turbine vendors, project developers and financiers of wind power facilities, eager to cash in on subsidies before deadlines, installed some wind turbine facilities before adequate transmission capacity was installed to transmit their wind output to urban areas. Much of the gas-fired capacity consists of CCGTs that are owned by independent power producers, IPPs, which sell their power to utilities under power purchase agreements, PPAs. That capacity is not utility-owned and therefore not available for balancing to accommodate the output of more than 10,000 MW of wind power facilities. Instead, utilities are attempting to use coal plants for balancing for which they were not designed. The results have been significantly increased fuel consumption, pollution and CO2 emissions. Unlike PSCO, ERCOT requires reporting of fuel consumption by fuel type and power generation by technology type every 15 minutes. The 2007, 2008, 2009 data shows rising amplitude and frequency of balancing operations as wind energy wind energy percent increased. In 2009, the same coal plants were cycled up to 300 MW/cycle about 1,307 times (up from 779 in 2007) and more than 1,000 MW/cycle about 284 times (up from 63 in 2007). The only change? Increased wind energy wind energy percent. On Page 69: The ERCOT balancing of plants to accommodate wind energy produced results similar to the PSCO system; increased balancing resulted in significantly more SOx and NOx emissions than if wind energy had been absent. Any CO2 emission reductions were minimal at best, due to the significantly degraded heat rates of the balancing plants. See websites. The below URL includes a study of wind energy on the Irish grid which shows CO2 emission reductions due to wind energy are significantly less than claimed by promoters. Exporting Wind Energy to the UK: Assume the future installation of 1,333 onshore wind turbines, each 3 MW, 467.5 ft tall with 373 ft rotors, for a total of 4,000 MW mostly in western Ireland which has greater wind speeds. Capital cost about $8 billion, plus capital costs for transmission systems. At low wind speeds (less than 7.5 mph) and at very high wind speeds there is no wind energy (occurs about 10 -15 percent of the time). At high wind speeds the connected wind turbines may have an output up to about 80% of wind turbine rated capacity (occurs about 2 to 3 percent of the time); it can be kept below 80% by automatic curtailment, i.e., feathering the rotor blades which is much resisted by wind turbine owners because it reduces their incomes. The design capacity of the HVDC lines would need to be about 4,000 MW x 0.8 = 3,200 MW. This would require at least (4) 200 ft wide corridors each with 800 MW HVDC lines on thousands of 80 to 135 ft tall steel structures from Ireland’s western areas to the Irish Sea, plus HVDC cables under the Irish Sea, plus HVDC lines on steel structures to UK population centers. The balancing function would be performed by the UK generating plants for a fee/MWh. The exported wind energy would be 4,000 MW x 8,760 hr/yr x capacity factor 0.30 = 10,512,000 MWh/yr. The energy transmission of a conventional HVDC line is at an average of about 60% of its capacity. Thus the owning and O&M costs for dedicated wind energy transmission is about 2 times greater/MWh than for conventional transmission. Exporting Only Excess Wind Energy to the UK: If Ireland were to export only its excess wind energy to the UK via HVDC lines, Ireland would be selling nighttime excess wind energy to the UK when grid prices are minimal and the UK would require a fee/MWh for the balancing operations. The transmission lines would have a very low utilization factor, i.e., high (owning + O&M) costs/MWh. A profitable transaction? See example. Example: Denmark has been “selling”, i.e., more or less giving away, its excess wind energy to Norway and Sweden for balancing by their hydro plants for a fee/MWh for about 20 years. Denmark has found it to be an unprofitable transaction, if the (owning + O&M) costs, balancing fees and line losses are accounted for. One reason the Danish household electric rates are the highest in Europe (31.5 eurocent/kWh in 2011), Germany, another renewable energy “power house”, has the second highest (27.5 eurocent/kWh in 2011), France has the lowest (12 eurocent/kWh). Storing Excess Wind Energy: Instead of exporting excess wind energy to the UK, Ireland can use the Turlough Hill, 292 MW, pumped storage hydro plant to store excess wind energy by pumping water from the lower reservoir into the upper reservoir. The pump capacity is 272.8 MW, pump efficiency 79.9%, turbine capacity 292 MW, head 285.75 m, volume of water in upper reservoir 2.3 million m3, hydro turbine efficiency 79.9%, energy storage capacity 1,431 MWh. Example: If 1,000 MWh of excess wind energy is generated by various wind turbine facilities and collected and transmitted to the pumps, about 950 MWh arrives at the pumps (after wind turbine-to-pump line and transformer losses), about 760 MWh arrives in the upper reservoir (after pumping losses), about 606 MWh leaves the hydro plant (after hydro turbine losses, ignoring evaporation losses, a factor in Spain), about 576 MWh arrives at the consumers (after line and transformer losses); an example of “detouring” excess wind energy to pumped storage. Wind energy storage is not very efficient and probably not cost effective, because the pumped storage hydro plants are expensive to build, and because of various losses, as shown above. The total capital cost of the wind turbine facilities (average onshore about $2,000/kW, average offshore about $4,200/kW), PLUS the capital cost of the new quick-ramping balancing plants required at higher wind energy percents (many grids, such as Colorado and Texas, do not have enough of such capacity), PLUS the capital cost of extensive grid modifications, including new HVDC lines on 80 to 135 foot-tall steel structures to transmit the wind energy from windy areas to population centers, is about 2 to 3 times greater than the total capital cost of a capacity of 60% efficient CCGTs (about $1,250/kW) that would produce, in base-loaded mode, near rated output, the same quantity of energy, use about the same quantity of fuel and emit about the same quantity of CO2 than the above (wind energy + balancing energy) combination, but do it at a much lower cost/kWh (see next paragraph), AND at minimal transmission system changes (the new CCGT plants would be located at or near the same sites as existing coal plants), AND at minimal adverse impacts on quality of life (noise and infrasound, visuals, social controversy, psychological), property values and the environment. Capital costs of RECENT wind turbine facilities are about $1,800 to 2,000/kW in the Great Plains and about $2,500 to 2,700/kW on 2,500 ft high ridge lines in New England. Example: Green Mountain Power is building the 63 MW Kingdom Community Wind facility (21 Vestas @ 3 MW each, 466.5 ft tall, 373 ft diameter rotors) on the Lowell Mountain ridge line in Vermont at an estimated cost of about $2,500/kW. GMP estimates the levelized wind energy cost at 9.2 cent/kWh with subsidies and write-offs equivalent to about 50% of the capital cost, about 15 cent/kWh without subsidies. New England grid average for utilities is about 5.5 cent/kWh. Vermonters will have higher electric rates and lower living standards with wind energy than without; closing the Vermont Yankee nuclear plant will further increase electric rates, lower living standards and eliminate jobs. Owners of wind turbines do not want to pay for HVDC transmission facilities to transmit their wind energy from windy areas to population centers. They say the US grid needs to be upgraded anyway, why have us pay? Or, they say the US has to move to smart grids and supply and demand management anyway, why have us pay? Or, they say the US has to move to renewable energy which implies reorganizing the US electric grids, why have us pay? – weather forecasting system (owning + O&M) costs. T. Boone Pickens: The main reason he got out of wind energy is because ERCOT, the Texas grid operator, told him to pay part of the cost of the HVDC lines to get his wind energy from his planned 4,000 MW of wind turbines from the Panhandle in the west of Texas to the population centers in the east of Texas, about 800 miles. At low windspeeds (less than 7.5 mph) and very high wind speeds wind energy is absent (occurs about 10 -15 percent of the time). At high wind speeds the connected wind turbines may have an output of 80% of wind turbine rated capacity (occurs about 2 to 3 percent of the time); it can be kept below 80% by automatic curtailment, i.e., feathering the rotor blades. If the maximum output of the Pickens turbines is assumed at 3,200 MW and if 4 corridors are used, each 200 ft wide, each at 800 MW capacity, over 3,200 miles of corridors would require about 15,000 steel structures, each 80 to 135 ft tall, to carry the HVDC lines. The utilization would be at about 30% of capacity. No wonder Pickens got out of wind energy. The wind energy transmitted would be 4,000 MW x 8,760 hr/yr x capacity factor 0.30 = 10,512,000 MWh/yr. The energy transmission of a conventional HVDC line is at an average of about 60% of its capacity. Thus the (owning + O&M) costs for dedicated wind energy transmission is about 2 times greater/MWh than for conventional transmission. This ratio can be reduced by overbuilding wind turbine capacity by about 20 to 30 percent and using wind energy curtailment to prevent transmission system overload. The economics of overbuilding wind turbines is feasible only in very high capacity factor areas, 0.40 and greater, not too far removed from population centers. The estimated capital cost of this scheme would be about $413 billion for wind turbines (400,000 MW/3 MW each) x (0.5 x $4,200,000/MW offshore + 0.5 x $2,000,000/MW onshore) + $83 billion for a 20% overbuild of wind turbines to better utilize the HVDC overlay grid + $200 billion for cross-country HVDC transmission systems + $250 billion for 200,000 MW of new OCGTs and CCGTs for balancing = $946 billion. The scheme would provide 400,000 MW x 8,760 hr/yr x net national capacity factor 0.25 (after losses) = 876 TWh/yr, or about 876/4,000 x 100% = 21.9% of the current US annual consumption, less of the projected consumption. At current wind turbine construction rates of 6,000 MW/yr, it would take (400,000 – 41,400)/6,000 = 59.7 years to implement. The environmental (visual, noise, health, real estate) impacts of wind turbines and transmission systems would be at least 10 times greater than at present. Wind energy generation is variable and intermittent; usually it is minimal during summer, moderate during spring and fall, and maximal during winter. Almost all the time it is maximal at night. About 10-15 percent of the hours of a year wind energy is near zero, because wind speeds are too low (less than 7.5 mph) to turn the rotors, or too high for safety. During these hours, wind turbines draw energy FROM the grid, and also during hours with moderate winds when parasitic energy exceeds the generated energy. Note: Wind turbines need energy 24/7/365 for their own operation. The parasitic energy can be 10% to 20% of rated output on cold winter days, whether operating or not. Example: German wind power output peaked at about 12,000 MW on July 24, 2011, four days later the peak was 315 MW. Solar energy is variable (during a day and during variable cloudiness) and intermittent; usually it is minimal in the morning, maximal at noon about 3-5 hours before the daily peak demand, minimal in the afternoon, minimal during foggy, overcast, snowy days, and zero at night. About 65-70 percent of the hours of a year solar energy is near zero, and it cannot be turned off, as in Southern Germany with about 1 million PV systems, when on sunny summer days solar energy surges to about 12,000 MW to 14,000 MW and has to be partially exported to France and the Czech Republic at fire sale prices, 5.5 euro cent/kWh or less, after having been subsidized at an average of about 50 euro cent/kWh. Example: German solar power is as little as 2% of rated capacity, or 340 MW, on cloudy days and when snow covers the panels. This means there are many hours during a year when no wind or solar energy is generated. Therefore, all conventional generator units will need to be kept in good operating condition, AND staffed 24/7/365, AND fueled to serve the daily demand when wind and solar energy is near zero. Without utility-scale energy storage, wind turbines and solar systems cannot replace any conventional units. All the units that would be needed WITHOUT the existence of wind turbines and solar systems, would also be needed WITH the existence of wind turbines and solar systems. Some of the conventional units would have less energy production with wind and solar energy on the grid, thereby adversely affecting their economics, due to increasingly inefficient start/stop, part-load and part-load-ramping operations, but without wind and solar energy on the grid, the energy production of almost all the conventional units would be needed to serve the daily demand. Building Wind Turbines Everywhere? : There are some (mostly wind turbine vendors, project developers, trade organizations, NRELs, financial types setting up LLC tax shelters for the top 1% of households, etc.) who say that building wind turbines everywhere there is wind, and connecting all of them with a national HVDC overlay grid into a super grid (similar to the US Interstate Highway System overlaying state and local roads), the variation and intermittency of wind energy in the diverse geographical areas will largely be canceling each other out so that the overall energy production will become increasingly steadier as more wind turbines are connected to the super grid, and that therefore there will be little need for balancing plants, and that there will always be wind energy somewhere no matter what the weather conditions in one or more geographical areas. Several National Renewable Energy Laboratories and other entities have made studies of this scheme, using mathematical modeling, as described in the EWITS and NEWITS reports. The result of the analysis is described in this article which concludes geographical dispersion of wind turbines does not reduce the variation and intermittency of wind energy. A French energy systems analyst, Hubert Flocard, combined the wind energy outputs of several European nations. The results of his analysis yielded the same conclusion. IS WIND ENERGY GOOD ENERGY POLICY? Within federal, state and local governments tens of thousands of people are busying themselves promoting renewables by with holding meetings and public hearings, preparing studies, writing reports, energy plans, laws, rules and regulations, monitoring projects for compliance, etc. Outside of government wind turbine vendors (Siemens, GE, Vestas, Iberdrola, etc,), project developers/owners, financiers managing tax shelters, trade organizations, etc., are busying themselves popularizing wind energy as saving the planet from global warming with PR campaigns that claim there would be significant reductions of fossil fuel consumption and CO2 reductions/kWh, that capital costs/MW would decrease, and that wind energy costs/kWh would be at grid parity in the near future. These claims have largely not been realized. Global Warming is a Given: A just-released report from EIA shows the actual world energy consumption data and projected consumption data for the 1990 to 2035 period. The report shows world energy consumption is estimated to increase from 505 quads in 2008 to 770 quads in 2035, a 52% increase. The biggest part of the increase is by (non-OECD nations + Asia). The significant increase in projected fossil fuel consumption during the next 24 years means global warming will continue unabated, because (non-OECD + ASIA) will have energy consumption growth far outpacing the energy consumption growth of the rest of the world; i.e., global warming is a given. The above indicates the enormous investments required to achieve the 2035 projected renewables energy production would have practically no benefit regarding global warming. This means policy makers should shift renewables subsidies to energy efficiency which will not only reduce CO2 without controversies, but will actually do some good for household and business energy bills and thereby raise their living standards and profits. That would be the rational thing to do. However, using Greenspan’s words, the people, including legislators and bureaucrats, have become “irrationally exuberant” regarding renewables reducing global warming. The above shows, it is an expensive and futile tilting at wind mills a la Don Quixote. Competitiveness: The above begs the question: If wind energy reduces CO2 by so very little/kWh, or not at all, or increases it, AND requires so much capital/MW to implement, AND produces energy at such a high cost/kWh, AND has such huge adverse impacts on quality of life (noise and infrasound, visuals, social unrest, psychological), property values and the environment, why are we, as a nation, making ourselves even less efficient relative to our competitors by this slavish, lemming-like pursuit of expensive wind energy? Who Benefits: Could it be that the Wall Street elites see the 30% federal cash grants, accelerated write-offs, generous feed-in tariffs and renewable energy credits as major tax shelters and long-term income streams (preferably tax-free) for themselves and their high-income clients, all at the expense of the Main Street economy which is already economically depressed? If the amounts of the grants and taxes-not-collected due to these deductions from taxable incomes are totaled, it would be evident wind energy is very expensively subsidized indeed; not helpful for reducing budget deficits. Roll more and more such expensive wind energy into rate schedules and the US will become even less competitive than at present: not helpful for reducing trade deficits. Wind energy promoters often use Denmark as the model to emulate. However, Denmark is in the unique position of having a large capacity of hydro plants of Norway and Sweden available for balancing wind energy; i.e., other grids with little or no hydro plants cannot use Denmark as a model. This unique position has been unfortunate for Danish households, because their electric rates are the highest in Europe; France, 80% nuclear, has the lowest. Quality of Life: Wind energy reduces the quality of life, health and psychological well-being of people who live near wind turbines. During the past 5 years, Denmark has stopped adding to its ONSHORE wind turbines for exactly these reasons. See “Wind Energy and Low Frequency Noise” in this article. 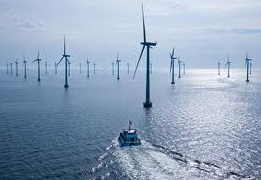 Due to demonstrations by the Danes during at least the past 5 years, DONG, the 76% government-owned utility, finally decided in August 2010 that any future wind turbines will be OFFSHORE and beyond the horizon. That is a huge concession. i.e., wind turbines near people have become an anathema in Denmark. But Vestas and Siemens are pressuring the Danish government for more onshore turbines (up to 600 – 900 big ones are planned before 2020), even if the local resistance is strong and rapidly growing. A similar development is shaping up in The Netherlands and Germany. As both have finally realized and admitted their wind speeds are marginal for onshore wind energy; Germany’s wind CF is 0.167, Denmark’s is 0.242 and The Netherland’s is 0.186. Their future wind energy development will likely be offshore as well. However, offshore wind energy has a capital cost of about $4,200/kW (more than two times onshore) and O&M costs of about three times onshore, compared with wind turbines in the Great Plains. I haven’t yet reviewed the referenced articles, so this is a very preliminary response. The article repeatedly cites studies on increased emissions/kWh, but is ambiguous about whether the studies refer to emissions/kWh of the balancing generators–which would not be at all surprising–or whether they refer to emissions/kWh of the overall electricity system. The article implies the latter–that wind is making the system dirtier–to the casual reader, but never shows it. The critical question is whether the increased emissions/kWh of the balancing generators more than offset the emission reductions from wind substitution for the fossil generators. I would be surprised if this were the case, since that finding would contradict many previous studies. At a minimum, the author and editorial board should make sure that the article is clear on what is being claimed. Thanks. Willem I tend to agree with what Joe is saying here. You’re not saying that the wind itself – turbines in operation- is the problem are you? As he says, the rub comes when incorporating intermittent resources into the grid -the inability of peakers to power up and down efficiently, transmission mismatch, etc. Those are technical problems; they’re problems that I am confident we’ll solve, and that many people are trying to solve, that it looks like we will be able to solve. But we should clarify that wind does not on its own result in more emissions than coal. If you’re correct, in practice wind energy may cause emissions, for reasons that we can fix by figuring out ways to stabilize output, better store energy, or produce plants that are more efficient at powering up and down like the new model Westinghouse. Also, smartgrids aren’t as far off as you suggest. Marc’s piece from earlier this week (http://theenergycollective.com/marcgunther/64592/why-it-s-taking-so-long...) on why the smartgrid is taking so long addresses this well: I’ll be able to report more on that next week from Gridweek in DC. However, the transmission issue have more to do with physically expanding grids anyway, to reach the location of prime renewables areas. And renewables or not, the grid needs serious renovation to address basic reliability concerns. Also, I’ll have to disagree on your claim that wind energy reduces the quality of life. Social unrest and psychological damage? Seems somewhat farfetched; examples? It is unfortunate to see people continuing to propagate the myth that wind energy doesn’t significantly reduce carbon dioxide emissions. There’s a large, well-established body of empirical evidence showing that as states like Colorado and Texas have added wind energy to their grids, their carbon dioxide emissions decreased by even more than had been expected. That data was used to directly refute the Bentek study even before the study came out 18 months ago, and the Bentek study has since been widely dismissed as the fossil fuel industry attack piece that it is, except for continued efforts by the fossil fuel industry to continue spreading its misinformation. There are also dozens of power system studies conducted by utilities, government agencies, and independent grid operators showing that adding wind energy to the grid results in larger emissions savings than the 1:1 offset commonly expected, largely because additional wind energy forces inflexible coal plants to be taken offline for extended periods of time and the share of their output not directly replaced by wind is replaced with more flexible and cleaner natural gas generation. I won’t waste time repeating the full discrediting of the Bentek study that has already taken place, but you can read through that with the numerous links at the bottom of my post. Ireland emissions: I was interested to see the Fred Udo piece mentioned in your post as I hadn’t seen that yet. It only took a few minutes to unravel the statistical trick Udo was using to get his results, which might explain why his analysis wasn’t published in a peer-reviewed journal and rather appears on an obscure Dutch anti-wind website. This appears to be a classic case of a lurking (or confounding) variable being used to misleadingly present correlation as causality. In this case the lurking variable appears to be cold weather and its impact on heating demand, data that Udo should have had access to but that (for reasons you can speculate) he chose not to use in his correlational analysis. What tipped me off was in part 3, Figure 3 of his text, where Udo called out an event in Ireland around June 9-12 2011 when the carbon intensity of Ireland’s electricity production surged. I was curious what might have caused that event so, on a hunch, I pulled weather records for Ireland. Sure enough, there was an abnormally cold spell when temperatures fell into the 30’s and 40’s F, 10 to 20 degrees below normal for that time of year. Aha! Cold temperatures drive heating demand, forcing Ireland’s numerous fossil-fired combined heat and power (CHP) plants to fire up and run at a high level of heat production (and subsequently more emissions/MWh since CHP plants relative to the rest of the fleet are not optimized for electricity production, and CHP plants being run to produce maximum heat are not being operated in a way that is optimized for electricity production; moreover, it appears that the emissions associated with heat production are rolled into the data that Udo is using, so a CHP plant producing only or mostly heat and little or no electricity under cold conditions like these would score at infinity CO2/MWh). A smaller possible factor is that higher demand for electric heating drives higher merit order, less efficient fossil plants to operate to meet the abnormally high electric demand. As one would expect, cold spells and home heating demand often correlate with high wind speeds, which is how Udo was able to draw his false conclusion that wind was the causal factor. Sure enough, a closer examination of the spikes in emissions/MWh in Udo’s data show that all are associated with cold spells, and only some are associated with an increase in wind output. It doesn’t take a statistician to tell you which is the causal factor in that relationship. Had Udo himself been more interested in finding the actual causal relationship at play here, he might have noted that the correlations between wind output and emissions intensity varied widely from month to month (as one would expect for weather-driven seasonal changes in electric demand), usually a strong indication that another variable may be the actual causal factor. I should also point out that, contrary to Udo’s claims, EirGrid’s method of calculating the emissions savings of wind is accurate. The plant-specific heat rate curve that they are using would account for all of the impacts wind energy would have on the efficiency of the fossil fleets under all operating conditions. Cost: To touch briefly on the cost issue, I’d suggest consulting with any of various independent analysts about how the cost of wind energy compares against other sources of electricity – some links are below. As is noted, the cost of wind energy has fallen drastically in recent years, though that hasn’t stopped some from using old data to perpetuate the myth that wind energy is significantly more expensive that alternatives. FERC’s collection of signed power purchase agreements showing the actual $/MWh costs for hundreds of generating projects from different electricity sources also backs up the conclusion that wind energy is very affordable. Moreover, when one looks at the history of extreme volatility in fossil fuel prices and the inevitability that fossil fuel prices are going to vary and likely increase in the future, wind energy looks even more attractive as a way to lock in an energy resource that will continue to have zero fuel costs for the life of the plant. Of course, that doesn’t even begin to factor in the massive environmental, public health, and societal costs of other sources of electricity production. Miscellaneous: On the topics of infrasound, property values, and other false claims used to attack wind energy, I’d suggest reading the consensus of scientists that all of those concerns are unfounded – the links are below. Of course, the most important point is that when compared to the massive environmental, public health, and quality of life impacts of other energy resources, wind energy and other renewables are far and away the best option of powering our society. Michael, the Bentek study is of the Denver area grid which includes several wind farms in the surrounding area. The wind industry response did not identify errors in the Bentek study, they simply redrew the boundary conditions to include the entire state of Colorado, most of which has very little wind power, integrated over a period of several years. Colorado has closed many old coal fired plants, replacing them with modern coal and gas fired plants resulting in substantially reduced emissions per kwh. The pro wind studies report these savings, but leave it to the reader to wrongly associate them with the construction of wind farms. There is really no contradiction between the reports. The opposing reports simply hide the effects of unreliable undispatchable wind power by burying the effects within a large mountain of unrelated data. In my opinion that is unethical. Michael, if the money spent on windmills had been spent replacing more coal plants with gas, hydro and nuclear plants, would emissions be higher or lower than they are now? Bill, the DOE data for Colorado are from the 2007-2008 time period, before the state began shifting from coal to gas. In fact, as I noted in the documents I linked above, there was a shift from gas to coal during that time period as natural gas prices rose drastically in the first half of 2008. That shift from gas to coal actually masked some of the emissions savings of wind. In analyzing the data for Colorado and Texas I was very careful to explore all possible factors that could have accounted for the decline in emissions (load growth, fuel shifting, imports/exports, hydro production, etc), and wind energy was the only factor that stood up as a possible explanation. I encourage you to go through the DOE data yourself and see if you can find another credible explanation for what happened. Also, most of the wind power in Colorado is not in the Denver area, contrary to your claim. Regardless, Xcel’s Colorado power system is dispatched as an integrated whole so you need to look at the whole system to get an accurate sense of what is actually happening. You claim I didn’t identify any errors in the Bentek reports, yet I provided a long list of errors in the last document I linked to in my original comment, copied below. The first three and the last one on the list are the main flaws in Bentek’s first report – the other flaws apply to their second report. The two biggest flaws were that they cherry-picked a very small number of hours of wind output and fossil plant operations that fit the conclusion they wanted to find, and then extrapolated from those. They also assumed that all fossil plant cycling on the power system was caused by wind energy, which is absurd given that load changes cause a large share of plan cycling. Plants have been cycling ever since the days of Edison and Westinghouse, and the Bentek methodology would argue that wind was responsible for that even though there was no wind energy on the system then. variability in electric demand has a far larger impact. – Cherry-picking outlier events for wind variability and then extrapolating them as normal behavior. energy for the emissions increase, and then extrapolating that as the normal impact of adding wind. actually displacing the state’s large imports of coal power. emissions savings when wind energy causes emitting power plants to turn off for an extended period of time. The answer to your question about whether emissions would be lower or higher if we had spent the money on gas, hydro, and nuclear instead of wind is easy – they would have been much higher. As I laid out in my initial comment, wind energy is very affordable compared to those energy sources (assuming it was even feasible to build large amounts of new hydro or nuclear and to do so in a reasonable time period), and the emissions savings for wind are much larger than for gas. Willem, with the recent Soyndra debacle in mind, and with the emerging realization that Wind Turbines may not in fact be performing as advertized in terms of CO2 reduction, one must reconsider the how, and the standards by which public funds are given, loaned out, or otherwise put at risk. 1) Is there any legislative or administrative guideline for the government to show that investments of public funds can in fact meet their stated objectives (I’m not quite sure how to correctly phrase this). 2) Who has access to the 1/4 hourly datasets? Do the Feds? Once public funds are accepted, how can the recievers withold this data from the public? A. U.S. DOE emissions data showing major emissions savings from wind are not truly estimates as you claim, but rather straightforward calculations based on precise data about the amount of fossil fuels being burned in a power plant. Unless you’d like to argue that wind energy somehow changes the carbon content of fuels being burned or to invoke some sort of Medieval alchemy to explain that wind energy changes the amount of carbon emitted for an identical amount of carbon-based fuel put into a plant, the DOE data are going to precisely reflect actual emissions. B. Yes, CHP comprises around 5% of Ireland’s generating fleet, and during cold spells like this when they are all running at full output that would be 10% or more of generation, which is large enough to drive the emissions increase noted, particularly if some of those plants are producing all heat and no power and therefore registering infinity emissions/MWh. As I pointed out, another major factor unrelated to CHP that explains the increase in per MWh emissions is that cold weather drives a sharp increase in electric heating demand, which causes less efficient, more expensive fossil plants to run as the higher demand forces grid operators to move up the supply curve of available generating plants. The EirGrid data clearly shows an increase in electric demand associated with the cold spells that are triggering the spikes in emissions/MWh. C. Sorry, the DOE data and the EirGrid method still capture the amount of fuel being burned. You offer no reason why method #2 won’t produce results that are identical to method #3. Moreover, the DOE method that shows major emissions savings from wind is in fact the method #3 that you propose. I am new to this website and truly appreciate the number of fellow enginerds (Chem E’s, yeah!). Reading the articles and comments are the biggest time sink in the history of time sinks – keep it up. I’ve been doing feasibility studies for around 25 years, mostly for environmental cleanup and pollution control. The process for determining the feasibility of power generation alternatives seems to be very similar to that of cleanup alternative selection (especially politically charged Superfund site remediation). That is, instead of focusing on the goal of cheap/clean power or a cleaned up site, we (interested parties) become mired in the technology selection process, i.e. picking technology winners and losers. Basic elements of feasibility evaluation are effectiveness, implementability and cost; however, there always seems to be competing economic and political elements (interest) weighing upon a truly sound evaluation. The result being a goal fitted to the solution (technology) rather then the other way around. My suggestion is to keep our focus simply on the goal, which is cheap/clean/safe energy generation and distribution. To do this we need to establish CO2 limits, safety/risk limits (apparent to current and future earth inhabitants) and acceptable societal cost considering all competing outlays be it defense, health, and welfare. May the best (most feasible) technology and/or combination of technologies win. I think this statement mistates the cost of hydro pumped storage. Assumably the length of power lines to a pumped storage facility and then to the consumers would be longer than just a direct path to the consumer. But the line loss attributable to the hydro plant would be the difference between the two routes (directly to the consumer vs through the hydro plant) not the total line length. So for example: Assuming average line loss is roughly the same, if the direct path resulted in a loss of 150 MWh of energy and the path to the pumped hydro storage resulted in a loss of 158 (the total above; 100 first leg + 58 second leg) then the additional energy loss for pumped hydro would only be 8 MWh. And thus Pumped Hydro would be considerably more efficient than implied above. This wouldn’t change the fundamental end result, but it would properly allocate the energy losses. Large energy line losses will generally be the result of Wind Power built in rural locations, not due to the hydro plant. Unless, of course, the hydro plant is built somewhere other than a reasonably direct line between the Wind Power fields and the consumer. Not necessarily. In many scenarios the result is just time shifting the period when the hydro power is produced. If the capacity of the hydro powers generators is much larger than the average load and the water is not needed at a time when the wind is blowing hard, then there is no loss. Granted, that won’t be true in all cases. There are 165,000 wind turbines operating world-wide with a capacity of over 240 GW. They are on track to exceed the total production capacity of nuclear energy by 2016. Why? Because they produce inexpensive energy with very little environmental downside compared to other forms of generation and create lots of jobs. Because they pay back the CO2e used in their full lifecyle and their full lifecycle costs within a few months. Because they don’t cause human health problems, unlike fossil fuel generation. Because they give off less low-frequency and infrasound than waves on a beach unlike gas generation plants. Because they are a strong net positive for wildlife and the environment in general, unlike fossil fuel generation. For example, 14 million fewer birds would die annually if all of the fossil fuel world-wide were replaced with wind energy (that’s true for nuclear too). Because they don’t harm property values. Because they don’t require much backup on a grid compared to the largets conventional sources. This article, based on many dubious references such as the Bentek report — Bentek is run by a fossil-fuel lobbyist by the way — and lots of words and numbers, would have you believe that all the countries and organizations that have built 165,000 wind turbines are wrong. Wind turbines are an effective subset of the world’s energy supply, providing energy at 1% of the CO2e /GW as coal and slightly less even than nuclear over its full-lifecycle according to the best meta-analyses available. Within the first quarter, Nordex has booked 1GW-worth of orders to be distributed around the world. Europe, Latin America and Australia are among the German wind turbine manufacturer’s recent client list. Chief Executive Jose Luis Blanco says,..